Marketing, advertising, promotions, communications. I've heard these words used synonymously with many small business owners. Truth be told, the same happens large businesses too! For over a decade, I've worked for ad agencies that serve global corporations and many people use these words interchangeably. However, the truth is that there are key differences. To truly unlock your small business marketing strategy and tactical plans it's worth understanding what those differences are. There are so many definitions of marketing. Literally, go on Google and type in 'what is marketing' and you'll have about 10 different answers right there. A more academic framework is the 'marketing mix' (4P's, later updated to 7P's and has evolved even further today), which was originally coined by Neil Borden in 1964 and has continued to evolve over time. As a marketer or small business owner hoping to market your own business, the marketing mix is almost like a checklist that outlines clear areas for consideration in developing a marketing strategy. Product: Approximately 42% of failed startup owners cited 'no market need', which really boils down to a lack of due diligence testing the product viability in the marketplace before launching. Before you launched your product or service, did you test or pilot it? If so, how did you do this? If not, what was the result? Price: This refers to the amount that a potential customer is expected to pay for your product and/or service. There are a variety of factors that influence how much a person is willing to pay, including their perception of your product or service which can be persuaded largely by your branding. Place (or placement): I'll use the stereotypical analogy here of a grocery store. Think of this as literally where the product is 'placed' on the shelf. Is it at eye level where customers will be more likely to see it? Or is it at the bottom of the shelf, where perhaps their little kids might see it? How do you actually distribute your product or service to your potential client? Better yet, how do you get your product or service to the right potential client at the right point? And in the meantime, where do you store your product and how do you actually transport it? There are a variety of strategies that a business can implement with respect to distribution. Promotion: This is the aspect of marketing that many people refer to simply as marketing. Essentially promotions is communications -- including strategies and/or tactical ways to execute (e.g. advertising, PR, inbound, social, etc.). Physical Evidence: As many services are intangible, this was introduced to identify areas where a company's branding can be reinforced. This can include everything from the interior design of a restaurant or hair salon to a business card. People: This aspect of the marketing mix is critical as we think about how the services are delivered and the quality of those services. This is also relevant as you work to enhance the overall experience through optimized customer service techniques. Think about this as you go into a coffee shop or restaurant and you are evaluating the restaurant as a whole by the service you are receiving from your server or barista. Process: In my opinion, this aspect is often times overlooked and can be challenging to get right. But when you do, increased profits can be a direct result. I've noticed that business owners overlook this aspect of a business, often times citing that their customers are unique and get personalized service. I understand this, but the approach is what provides a consumer with the confidence that 1) you know what you're doing, 2) you've done it before (and it works) and 3) they eventually will know where they are at in your process (e.g. expectations are managed). Focusing on this is truly a win-win for all. Target Market: your ideal client, your dream client - these magical unicorns of people who are going to not only buy your product at whatever price you set it to, but do it with a smile... and then tell everyone they know about it. Understanding who these people are, what is important to them, where they spend their time (online, off-line, outside of your company) and their behavioral patterns will help you as a small business owner make better decisions about how to make more solid connections with these people. 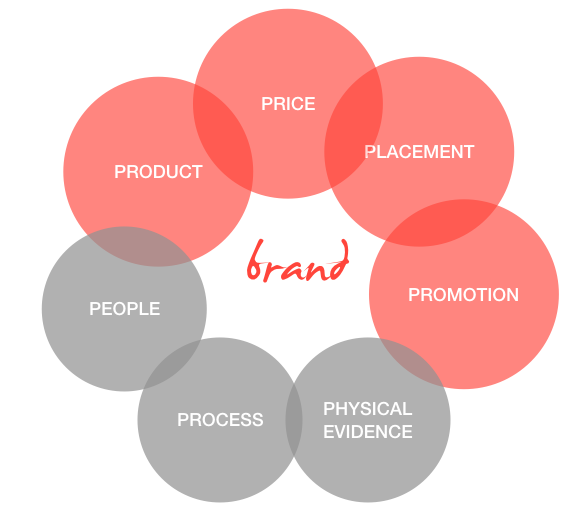 Brand Values: these are heavily interconnected between your company's values, your mission and your vision for long-term growth. Core brand values help to provide some kind of meaning that will allow others to truly connect with your brand. Stay tuned for more on this to come soon. Brand Identity: once you've established your brand values you can translate your philosophy into a more tangible vision, through visual brand identity (e.g. logo, color palette, fonts, etc.) and a tone of voice. Positioning: understanding how people perceive your brand in the marketplace (compared to where you think you are). To us at D&Co, this is really where we find the most value for competitive research. Don't worry, we have a worksheet that can help you out. I will be posting more on that soon and give you a walk through of how to do this. Metrics: for each tactical recommendation, you should have a clear and measurable idea of what that tactic is hoping to achieve and by when we anticipate it will be achieved. Cross reference these key performance indicators (KPIs) against your spend, and there's your return on investment (ROI). The experience evolves from the needs and wants that customers have about the product. Convenience (of purchasing) for the customer dictates that the placement must be everywhere. Promoting a product no longer suffices and that true communication will lead customers to brand advocacy, or evangelism. Exchange replaces the traditional pricing model as value is more important to today's consumers than simple purchases. This interesting article makes a brief case about how Zara has adopted the 4E framework into its entire strategy compared to the more traditional 4P approach that H&M takes. What other frameworks or models do you use for marketing your small business? What other aspects of marketing would you still like to know about? Comment below!